Steve Gelder, Gail Paton and Arran Fullwood presenting the cheque to The Brain Tumour Charity. 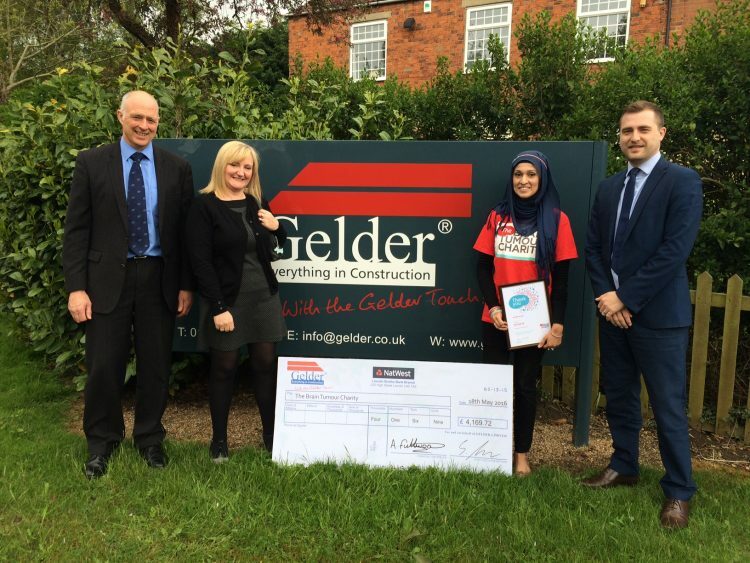 The Gelder Group support only a few chosen charities each year and the selected charities are chosen by our own staff. This year they chose to support The Brain Tumour Charity in memory of a dear colleague, Rick Paton, who passed away earlier this year after being diagnosed with the disease at the end of 2015. The presentation of a cheque for £4169.72 was witnessed by Gail Paton, Steve Gelder and Arran Fullwood.